"I made this recipe to celebrate Earth Day. Thanks to a thorough browning, mushrooms provide more than enough savoriness. The garlic, cheese, and parsley do the rest. 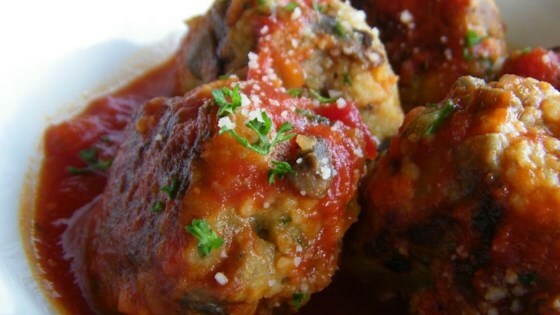 What really blew me away was how close the texture was to actual meatballs. They are officially approved for use on spaghetti!" It looks like a ton of Parmesan cheese in the video, but it was only 1 ounce. Because I used a Microplane® to grate it, it created a huge-looking pile of cheese. It would be about 1/2 cup if you measure it, but use weight for this ingredient. I am a vegan and you could have done this a little better by taking out the dairy.